It was about two months ago where I started to engage seriously with Instagram. I was living my ‘online life’ with Instagram. Sure, I know that Instagram is all about yourself (thinking of selfies) but I wanted to make it a part of my social marketing strategy. Instagram is all about visual marketing and trust me, you got to have images that tickle your followers or your effort will be wasted. For one, I am not a huge fan of the designing world and trust me, I am just that bad when it comes to creating powerful images. At times, I wish to have minds such as Rebekah Radice and Donna Moritz when it comes to creating eye-catching images for my blogs. So, how do I actually make Instagram work for me? Most importantly, what are the tools you should be using to grow your Instagram followers and engagement? Important note: There are probably hundreds of Instagram apps and tools out there. These are the top 10 that will help you kick start Instagram marketing instantly (and with very less or non existence cost). You probably heard about this a dozen times. PicMoney is good, powerful and robust. If you are serious in making visual marketing work for you, PicMonkey is the tool for you. Period. PicMonkey does all the fune stuffs such as cropping and resizing but it has its own secrets under its sleeves. There’s a ‘quick touch’ option which allows you to do MORE such as reduce shine, whiten teeth and remove wrinkles on your images. Okay, I know absolutely what you are thinking right now! This is a cool desktop app for Instagram marketers. As a beginner or advanced marketer, you know how often we wish to have the magic wand to clean up the photo shots taken. At times, something isn’t right on the shot and a slight modification could make it go viral. Right, right? BeFunky allows you to do literally everything with a free account (but paid accounts are available too) such as cropping, sharpen and resize images. The most common tool any graphic designer (or newbie) would probably use. The latest integration between mobile and desktop usage allows you to create the perfect image every-single-time … and without dropping a sweat. Of course, there are free and paid version for the product. If you are looking for the perfect image tool, I would suggest going for the paid version for complete features. Also, it is important to note that there is a slight learning curve before you can leverage the true power of Photoshop. If you think that Photoshop is just too expensive, you are going to love Canva. For me, Canva is heaven when it comes to creating powerful images without a budget (or with a tight one). Canva is an online photo designing tool that allows you to do nearly everything without having to pay a dime. While Canva is free to use, there is also paid images and features which you can be charged based on usage (as low as $1.00). Therefore, no monthly commitment and definitely, a great way to reduce your spending. If you have using third party apps to combine various images to publish on Instagram, now you can do so directly from Instagram’s flagship product. Layout allows you to crop and create new images based on current ones. All you need is to import those photos and you are good to go. Layout is available for both Apple and Android devices as of now. Framatic is a great alternative to Layout from Instagram. As the name goes, it generates frames between images and thus, creating a nice effect on your images. The layouts are adjustable and at this point of writing, it has 32 borders and 92 effects to choose from. This is true. We can’t enough with Instagram’s filters. We wanted more and we certainly looking for more robust features. For one, there are many (and I mean seriously a lot) photo editing application for mobile especially when it comes to Instagram. However, InstaEdit+ is one of those you need to have in your inventory. It has over 100 filters and after effect shots you can choose from which is really important when you want to create those “wow” effect on Instagram. If you share quotes over on Instagram, create beautiful images with words over it is an important move. Sure, you can do it with any other applications on your smartphones but, Over app is something you have to seriously look at. Create simple to complicated designs as well as adding custom artwork to your images are now easily doable with Over. Plus, with over 7,100 positive ratings on iTunes, you know that this is one-hell of an app. Looking for a great alternative to create cool fonts and a library of inspirational quotes? Word Swag is the app for you. Currently, available on iTunes, it allows you to search for quotes based on categories; from motivational to jokes. It cost $3.99 for the app on iTunes and it comes with dozens of different types of fonts. Compared to Over, it has slightly over 2,500 positive ratings on iTunes. Have you ever encounter the situation where you are absolutely out of ideas but need to publish an image on Instagram urgently? I bet you do! With the Repost app, you can choose images shared by people you follow on Instagram. It also provides you with the stats such as number of comments and likes which give you a fairly great idea on which posts are interesting for the audience. Repost comes in all major OS and it has the free and paid version. The paid version provides more features such as watermark removal. I am curious to hear what you have to say about this? 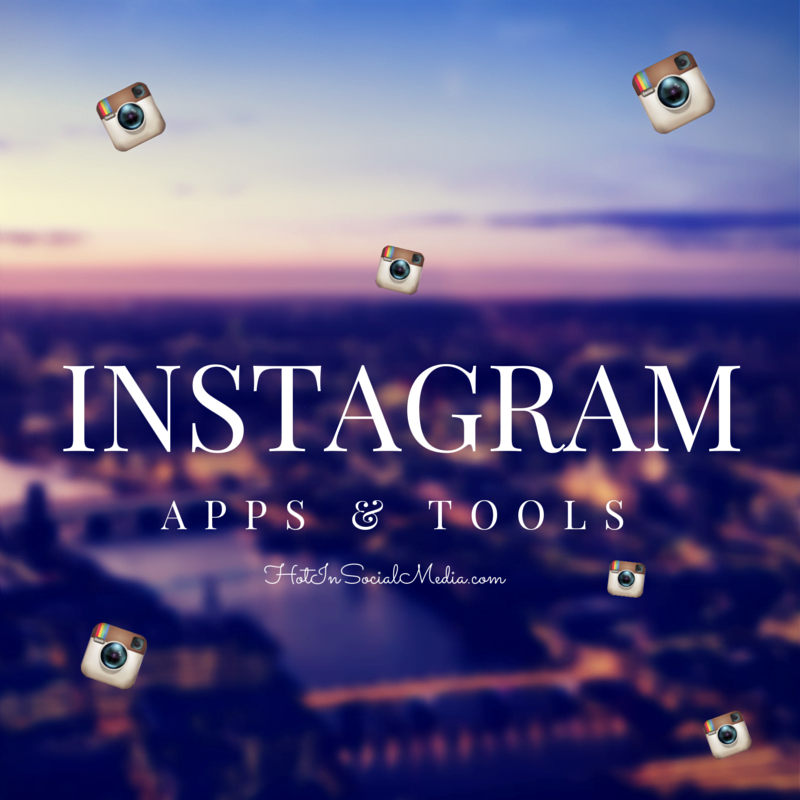 If you are an Instagram lover like me, what is your favorite, must-have and go-to tools or apps for Instagram? Remember to leave a comment below and I would appreciate if you can share this around (if you find it useful).